The Catholic festival of Carnival starts on a Sunday and lasts until Ash Wednesday: the start of Lent which lasts until Easter. Carnival is for many people a happy festival. It is mostly celebrated in Roman Catholic Countries and is the last day and last hours before the time of Lent, the weeks before Good Friday and Easter. The time for celebration and rich meals are there for a reason. Lent is a period in earlier time Roman Catholics were fasting, abstained from eating meat and other ascetic practices. So it’s a festival as a prelude to a time of soberness. The sober lifestyle is a practice in Lenten where the worldwide church is remembering the suffering, death and resurrection of Jesus Christ. The Carnival festivities are ended on Ash Wednesday, which is the official start of the time for fasting, the time of Lent. 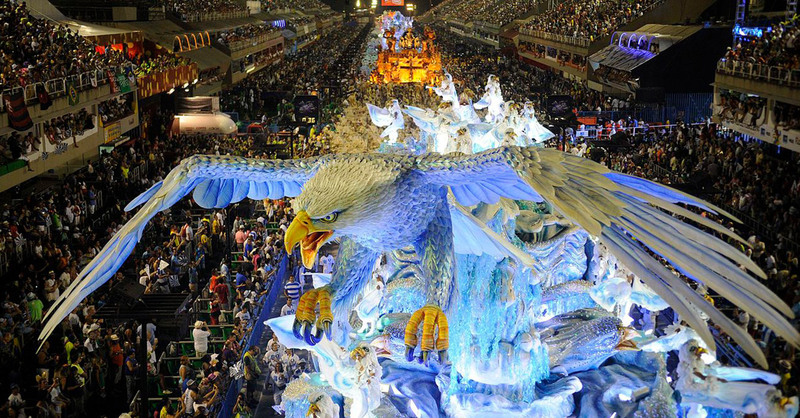 Carnival in Rio de Janeiro is the biggest celebration in the world.